Clearance: 25mm Horz. x 26mm Vert. 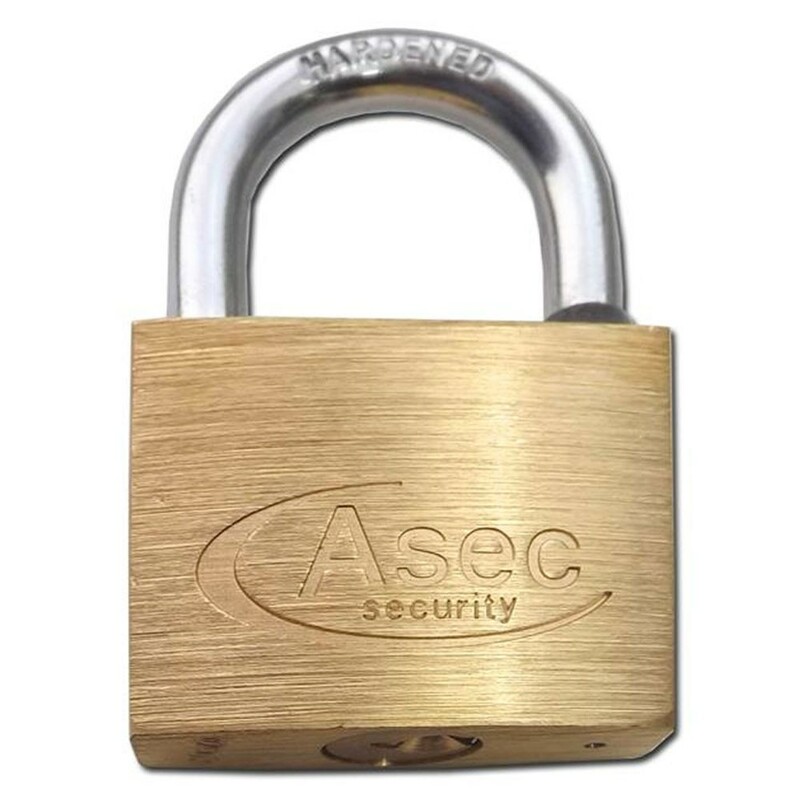 The Asec open shackle brass padlock is a good entry level padlock with a double locked shackle and hardened steel shackle. Ideal for sheds, vans, luggage, lockers, gates, bikes & much more. Locked and unlocked by key.